Without question, this is the most comprehensive lineup Dodge has ever offered for the Charger. There aren't many street-legal cars that offer up more than 700 horsepower, let alone ones for less than $63,995. Don't forget that the Charger is a 4-door sedan, too. Dodge charger comfortable good looking car. 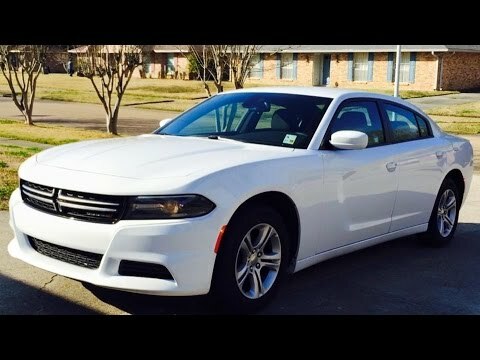 I bought my car used it is a 2015 I've had it for 2 years. I have had no issues with it so far. It has 80, 000 miles. It is a v6 and has a lot of pep. It is rides smooth. I have heated seats they work fast and heat up well. I have taken multiple long trips in my car longest trip was 13 hours. I found it to be very comfortable. I am 5�3� and I am able to adjust the seat to my height. I am high enough to see and I do not notice any blind spots while driving besides the typical blind spots in all cars. The gas mileage is great on the highway I get about 25 miles to the gallon. It takes a lot to fill up the gas tank and it uses only premium gas which can be expensive. my car is a very smooth driving car...very comfortable with lots of space inside. The gas is a little expensive for it but I feel that the car is well worth it. The car has lots of features one of the best being the bluetooth. It also has a camera in the back to show you when in reverse if you will back into anything. The radio system is quite loud and clear. More features include two tv's in the back where the children are able to watch videos or play video games. It's just a great car in general. I absolutely love my Dodge charger. It's very sporty yet roomy. Its looks great and it's reliable. The only thing I would change would be to add more options for heat and air conditioning for the backseat. The back passengers never seem to get enough air but the front passengers are either too hot or too cold. Other than that I have no issues and will definitely be upgrading to another charger in the near future.